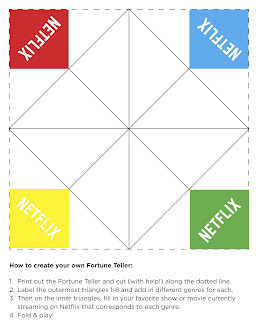 Netflix Siblings Playlist + a Fun Freebie! Netflix. I wanted to share yet another reason why I love it so much. Honestly, they get it. They just do. You all know by now that we are a Netflix loving and addicted family. We’ve actually reduced our channels to basic cable and Netflix has become how we watch tv shows and movies. Each night our three kiddies watch a show before bed and each night it’s the same fight between them of what they’re going to watch. Yup, these cuties are super adorable but when they can't agree on a show to watch...not so adorable. Netflix Siblings Playlist. Can I get an amen? This month, kids can choose from “Tale of Two Distant Ages” playlist to the “Sugar and Spice” collection, offering something for every sibling squad to watch and enjoy together. Tale of Two Distant Ages – caters to your 5 year old and 14 year old. Sugar and Spice – if one kid is sassy and the other is sweet. This is it. Meet in the Middle Playlist – Deciding on a genre is hardest when it comes to watching together. From comedy to action, this playlist has titles that have a little bit of everything for everyone. So it’s awesome. On school nights, each child has a turn and they get to pick from whatever playlist they want and what show they want to watch. It’s a one-stop shop because it’s taken out the stalling process where they get on each other's nerves trying to decide. Thank you Neflix! It’s also not just for kids. Mr. Fix-it, my brother and sister-in-law and I are always talking about our fav new shows and its big time trouble if anyone leaks any spoilers. We’re no longer fighting over the remote, but championing our new fav Neflix show to get the other one hooked. It’s crazy this Netflix addiction. 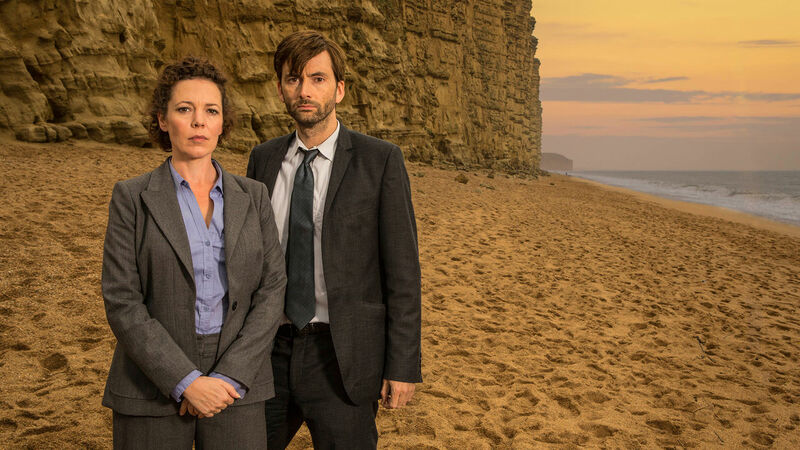 Broad Church – okay so this show is awesome. But it’s dark and twisted yet the acting is awesome and leaves you guessing till the end. Try it. 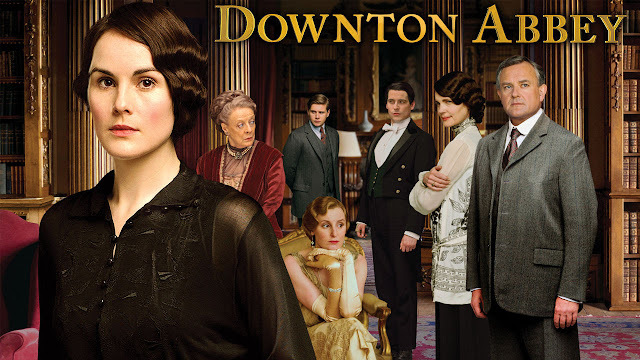 Downton Abbey – Season 5 has been released. Yes! Time for the fun freebie. 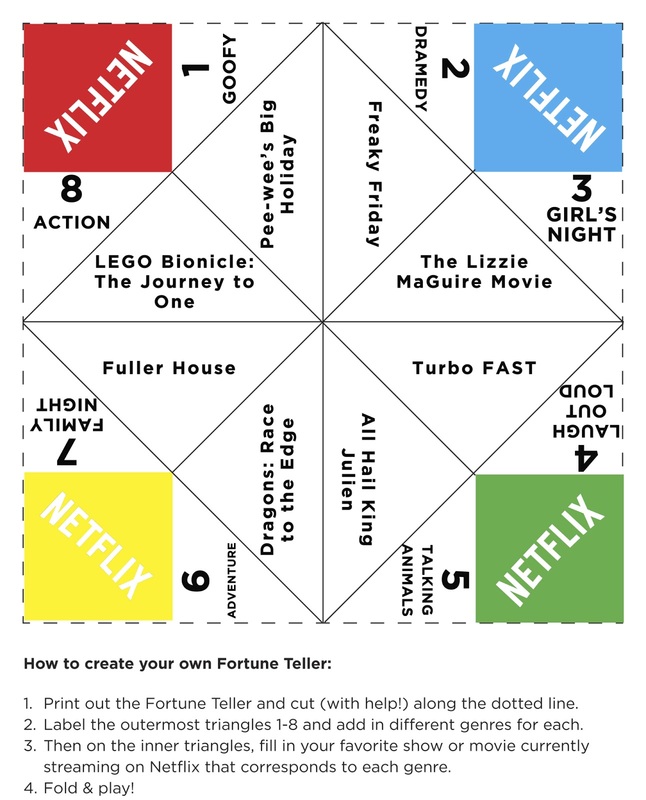 Remember fortune tellers? 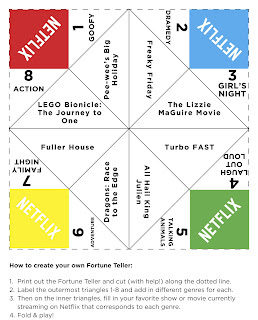 I remember making these in class, although it was all about who you were going to marry ;) You can use it with your crew to decide what you’ll watch. 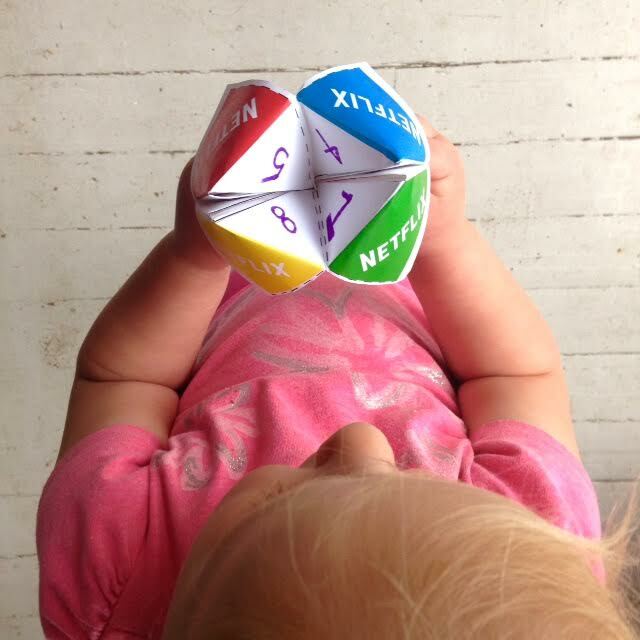 Click here for the fortune teller that is already filled out. Click here for the black fortune teller. Head over to my Instagram and see the fortune teller in action. Disclosure: I love Netflix and you love Netflix. It’s a match made in heaven. As you know I’m part of the Netflix Stream Team and I love to share the latest shows and addiction with you. Here has what has caught my eye this week that I think might catch yours. Is the warmer weather getting you excited for those nurseries to open? A few tips before you buy plants. 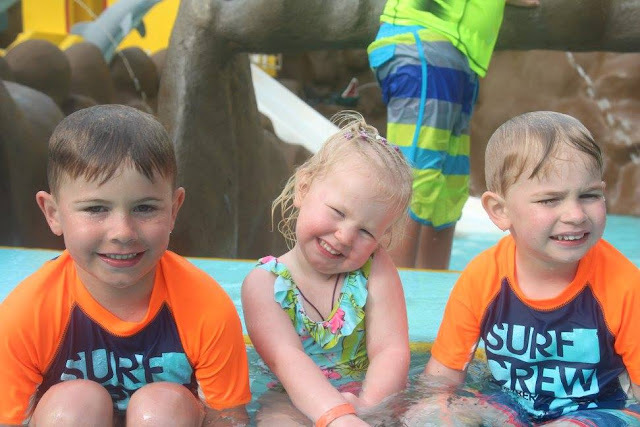 A wish has a large impact on both the child their family. It can help strengthen their families, improve mental and emotional health, reduce the fear and anxiety among a wish child’s sibling and give hope, strength and joy to the child. There are so many ways you can be involved. 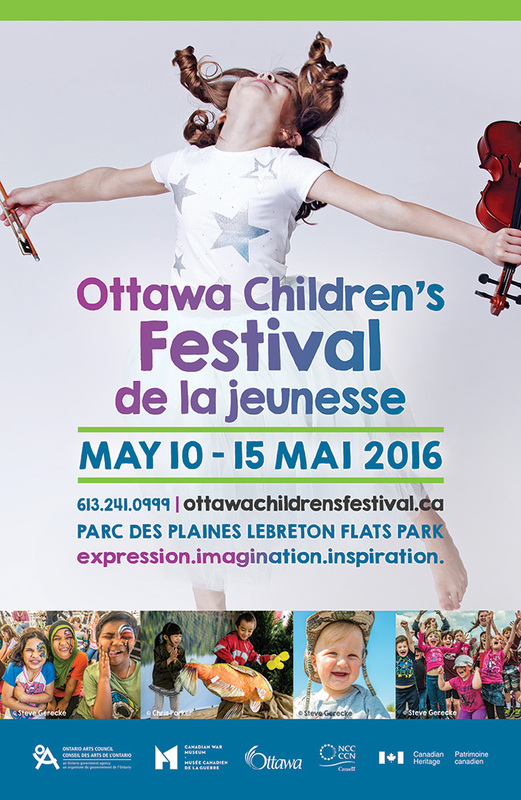 Ottawa families, mark your calendar for May 10-15th, the Ottawa Children’s Festival is a great event for families. 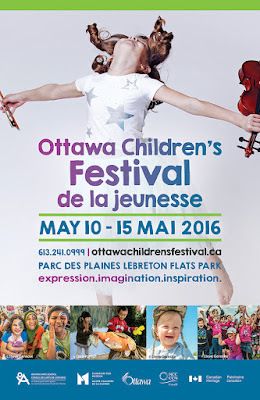 The festival takes place at LeBreton Flats Park and its filled with music, theatre, dance and more. Its super fun. According to the fashion gurus, sneakers and floral dressers is this year's summer combo. You guys always impress me with your DIYs. 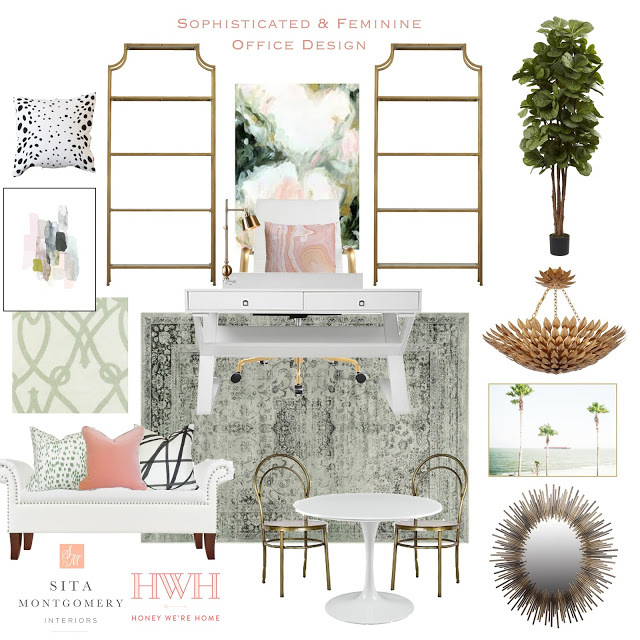 I started this blog in the hopes for others to feel inspired to create beautiful spaces, pick up paint brushes and feel house proud. 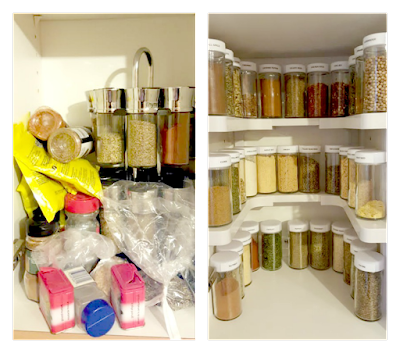 A loyal reader Carlos, has decided to whip out his label maker, clean out the spice cupboard and doesn’t it looks fab? Clean & organized. He picked up this spice shelving. Great job Carlos. 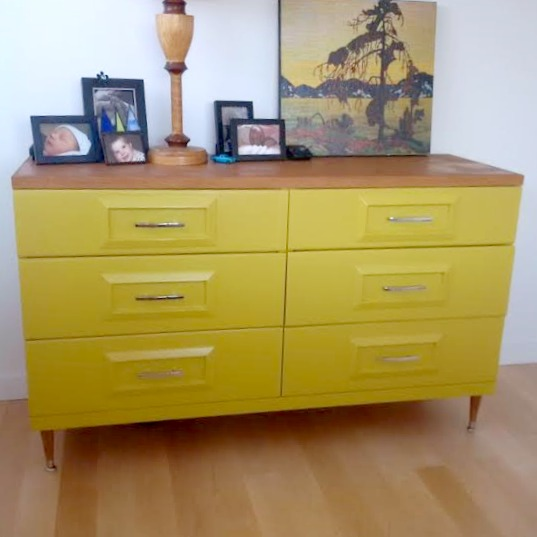 And...Kelly and her hubby took a dresser they had in their house that was ready for the bin…sanded, painted, added some funky retro legs and hardware. Voila! Fresh, fabulous, sophisiticated. Beauty. I love it. Kelly told me that it's more greenish than yellow that's come out in the photo. 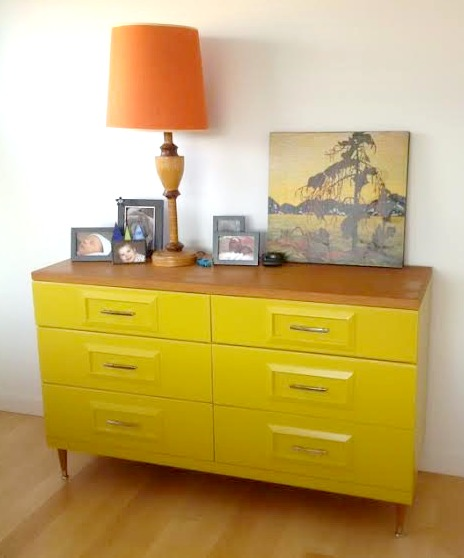 Please keep sharing your DIYs, makeovers & designs. I love seeing them and I'm happy to share them here. This weekend I’m going to organize the front hall closet. You can’t even see the floor anymore in there. My kids are clearly sick of putting their hats and mitts in the baskets and throwing them anywhere in there. I don’t blame them, I’m sick of doing it too. With the snow gone “fingers crossed it stays that way” its time to take it apart, clean it out, find the floor and give the closet room to breathe. Are you feeling the spring clean this weekend? Hope you had a great weekend. We celebrated our baby girl's birthday. She and 10 of her friends played, ate cupcakes, opened presents and she was so happy. Her party was adorable and her personality is infectious. Slow down time! 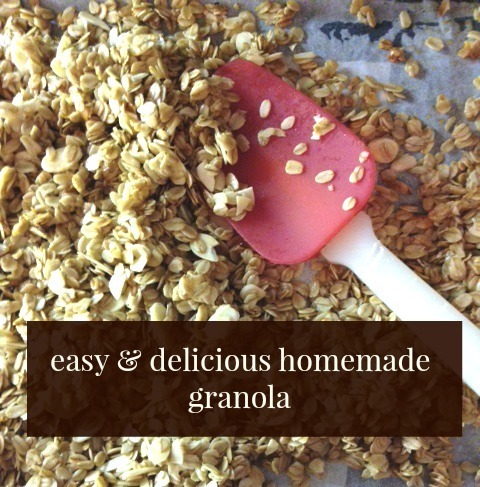 Sunday, I made up my fav granola. It's actually my Aunt Mary's recipe and its delicious. Simple, healthy and yum. Usually we have a smoothie in the morning but I try to bring this as a mid-morning snack at the office. Granola, Greek yogurt & frozen mixed berries on top. By the time I eat it around 10ish, the berries have thawed and their juice is all happy with the yogurt and granola. Yummy.